One of three liquified natural gas facilities proposed for the Port of Brownsville has cleared another regulatory hurdle that keeps the project on track for the company to make a final investment decision in about a year. NextDecade Corp. has announced that the Federal Energy Regulatory Commission has issued a draft environmental impact statement for its Rio Grande LNG project, as well as the associated Rio Bravo Pipeline. The next step for the FERC will be to issue a final EIS in April 2019 following a period for public comment on the draft statement. The FERC also has established a 90-day federal authorization decision deadline for July of next year. Assuming a favorable FERC order, NextDecade anticipates making a final investment decision in the third quarter of 2019. “This milestone brings us one step closer to achieving a final investment decision on the Rio Grande LNG project, to creating thousands of jobs in the Rio Grande Valley and communities throughout the state of Texas, and to delivering reliable energy solutions to our customers around the world.” Schatzman said. The economic impact of Rio Grande LNG on the Rio Grande Valley economy is in the billions. A study by the Texas-based independent economic research company The Perryman Group found that over the course of construction and operations, Rio Grande LNG would inject billions of dollars into the local economy, supporting more than 3,000 permanent jobs in Cameron County and contributing millions in new tax dollars. Construction and non-operational activities of the LNG port facility at Rio Bravo Pipeline is estimated to inject nearly $6 billion into the local economy, representing a one-time addition equivalent to more than 67 percent of Cameron County’s current gross product, according to the Perryman study. The study, which was commissioned by NextDecade, found that ongoing operations at maturity would add approximately $326 million a year to the county’s gross product, and create and sustain an estimated 3,256 permanent jobs in Cameron County and an estimated combined 4,901 permanent jobs in the United States overall. The construction phase alone is expected to create about 6,000 direct jobs. More than 200 permanent jobs would be needed at the LNG facility itself, according to the Perryman study. Of the three proposed LNG plants at the Port of Brownsville, Rio Grande LNG would be the largest, planned for construction on a 1,000-acre tract on the north side of the ship channel. The 122-mile Rio Bravo Pipeline would connect the port with other interconnected pipeline facilities serving gas producing areas in Texas. The other two LNG projects, Annova LNG and Texas LNG, continue to wind their way through the regulatory process, but those companies were notified in August by the U.S. Army Corps of Engineers that review of their applications had been suspended due to missed deadlines for information. Both companies said they continue to move forward, and Texas LNG also recently received its draft EIS. 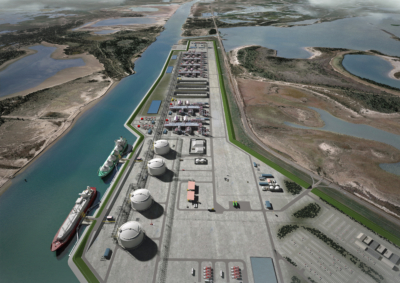 The Rio Grande LNG project is seeking approval for six liquefaction trains, each with nominal LNG output capacity of 4.5 million tons per year, which would be exported to customers around the globe. Liquefaction is a process that cools natural gas to about minus 260 degrees, reducing its volume by more than 600 times, making it easier to transport large quantities. Natural gas coming into the Port of Brownsville via the Rio Bravo pipeline is expected to be in the range of 91 percent to 93 percent pure methane. The LNG facility will process the gas to achieve 99 percent purity before it is liquefied. The final product will be shipped on specially designed tanker ships. 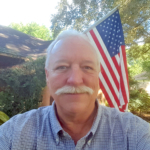 In addition to the regulatory process, Rio Grande LNG has launched efforts to connect with local business and educational organizations to maximize its ability to hire and buy locally.